While you are editing your assignment, you can preview it to see an approximation of how it will look and behave for your students. Important The assignment previewer does not reflect many assignment behaviors that can be set for assignments or classes to which the assignment might be scheduled. To see the assignment exactly as your students see it, schedule the assignment and then click Open Student View. See View an Assignment as a Student. Under Previewer Tools, select the details you want to see. To see different randomized values, click Show New Randomization. To update the previewer after changing the assignment in the Assignment Editor, click Reload from Editor. 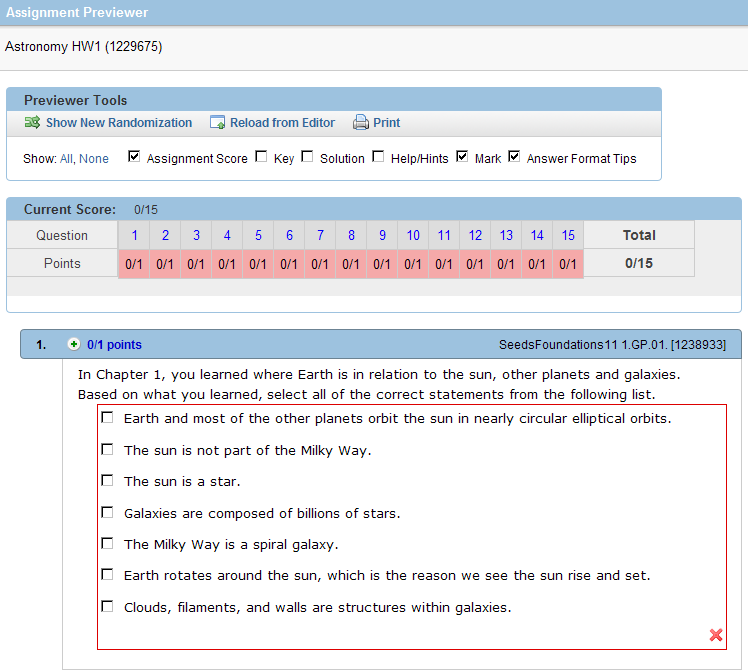 Test correct and incorrect responses on the assignment by clicking Submit at the bottom of the page.